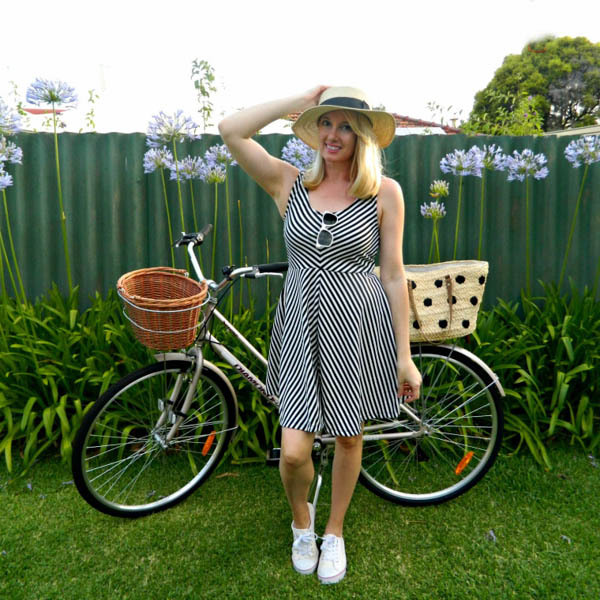 Today I interview Malinda from Western Australia, who describes her style as feminine and classic. 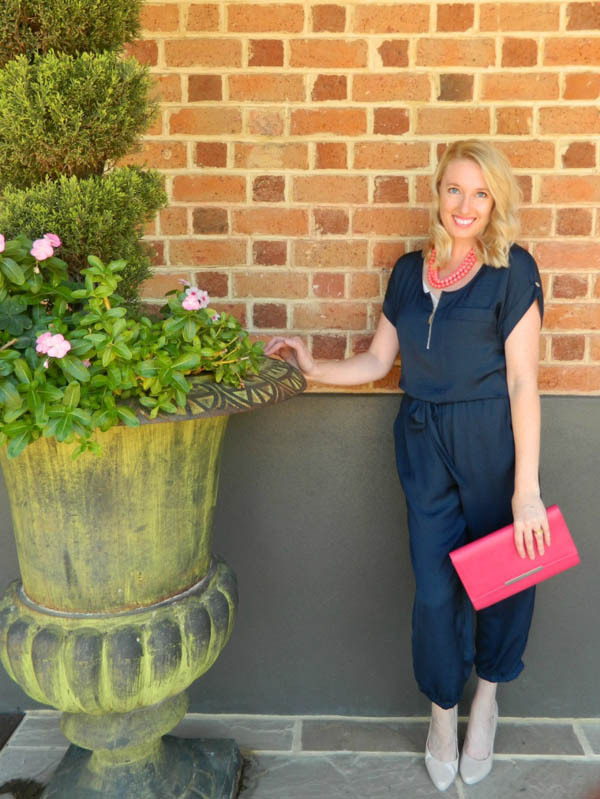 She is a personal stylist as well, so she is sure to share many great style tips. Enjoy! My name is Malinda, I’m a personal stylist and I live in the beautiful city of Perth, Western Australia with my hubby of 19 years and our teenage son and daughter. 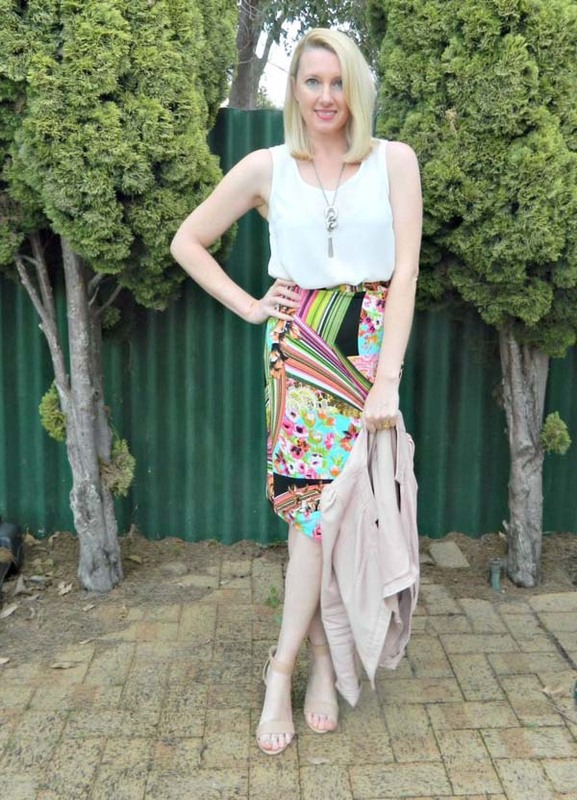 I’ve always had a passion for fashion, especially when it comes to finding a bargain and I love sifting through the racks at second hand shops! Can you tell us a bit more about your blog and why you created it? I started my blog The Style Within almost three years ago as a bit of fun. My main objective was to show women that looking good didn’t have to come with a huge price tag. Hmmmm I think it would be classic! I’m a lover of all things feminine… skirts, dresses (long or short). I adore lace and have a penchant for pleated skirts! I’m also not one to shy away from colour and mixing prints and I don’t mind the occasional hat! Definitely anything feminine or ladylike. I live in Western Australia which is quite a warm place to be most of the year. Living here really only influences my style so far as the weather dictates! We don’t get really cold winters which is a shame as I would love to wear more coats and boots. Not really, one day I could be in a floral maxi skirt with heels and the next I could be in jeans and sneakers! I think if you asked my readers & followers they would say classic and lady like. These words seem to pop up a lot and I don’t mind one bit! Honestly, most days, my mood! If I’m in a good place then my outfit will reflect that with colour and fun. Also the occasion: am I having lunch with a friend or going to a meeting? And comfort. I find myself dressing much more comfortably these days! Instagram, magazines or celebrities are a huge source of my inspiration as well. Yes absolutely! I think it’s important for men and women to know the colours that work best for them, just as knowing what styles are best for your body shape. I would say my body shape is quite rectangular, I think I have a rather straight up and down body! I’m 5’7″ or 170cm tall and dressing for me is about creating more shape. That is why I quite often wear a belt or a flared skirt. I like dresses that have ruching at the side or waist to create shape (as long as it’s not too much). And I love wide leg pants and culottes. No not really, I’m open to wearing anything from anywhere! As long as I look and feel great in it, that’s all I care about. Not so much since turning forty but I do know that since joining Instagram and blogging, etc. I definitely have much more confidence in what I do wear and how I put an outfit together. Age is but a number! I’m a big believer in dressing to suit yourself and not anyone else. Are their things I won’t wear? Of course but that has more to do with being comfortable in my own skin and knowing what suits me rather than age appropriateness. I would say I’m more interested than I was ten years ago. My kids are older now and doing their own thing so I have more time to shop for myself and time to spend putting in the extra effort. It has nothing at all to do with vanity but just simply wanting to look and feel good for ME! That doesn’t mean you won’t see me in sweatpants and tee shirt rocking a ponytail sans makeup…it’s about balance. 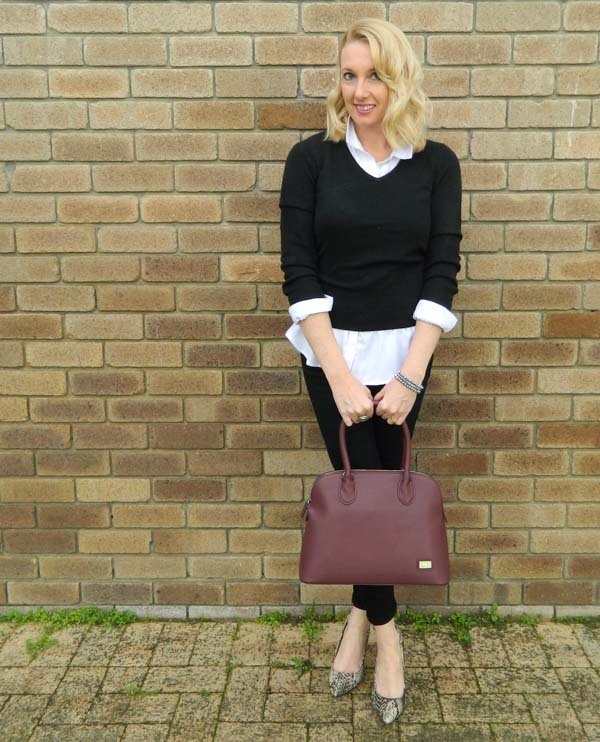 I’ve always enjoyed fashion and have a tendency to overdress – OOPS! I don’t do casual supremely well. It’s important to me because I firmly believe that if you look good you feel good. Even making the smallest effort when you are having a bad day makes all the difference. I can be quite lazy with beauty products, I have to admit! I do wear a sunscreen moisturiser on my face every day and have done for many years. I use a face wash by Neutrogena every night in the shower and Garnier Micellar water to remove any other traces of make up. I do but not as much as I used to! I’m loving pleated skirts at the moment as they look great with heels or sneakers. 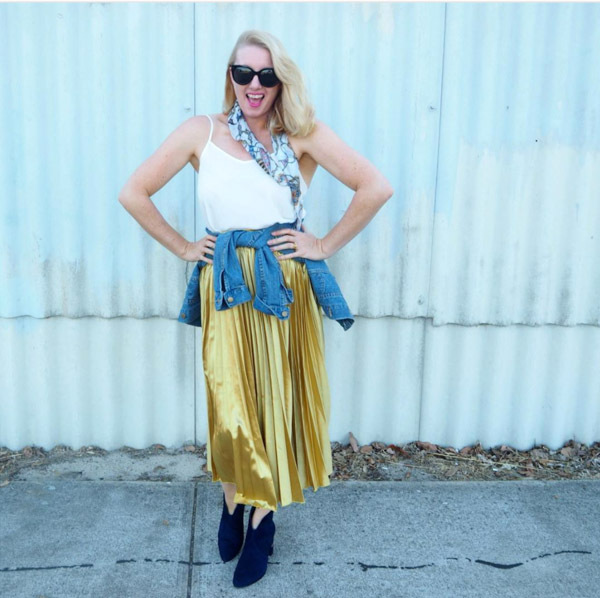 Dark florals are very big in Australia for winter this year as are metallics, which I love! Can I wear it for more than one season or occasion? Do I have pieces in my wardrobe that can easily be mixed with it? Does it fit me exactly how I want it to? I think fashion and being fashionable is very subjective. If you feel great wearing something then that is all that matters. Try not to get caught up in what you think you “should” be wearing and have fun with your clothes. What are your plans for your blog The Style Within and how do you see it develop over the coming years? Ahhhh my blog! I would love to say that I have huge plans for my blog but in all honesty I don’t….. I have so much fun interacting with like minded people on Instagram that I don’t feel it’s feasible to continue with the blog, which is a shame as I have enjoyed putting posts together to share with people. 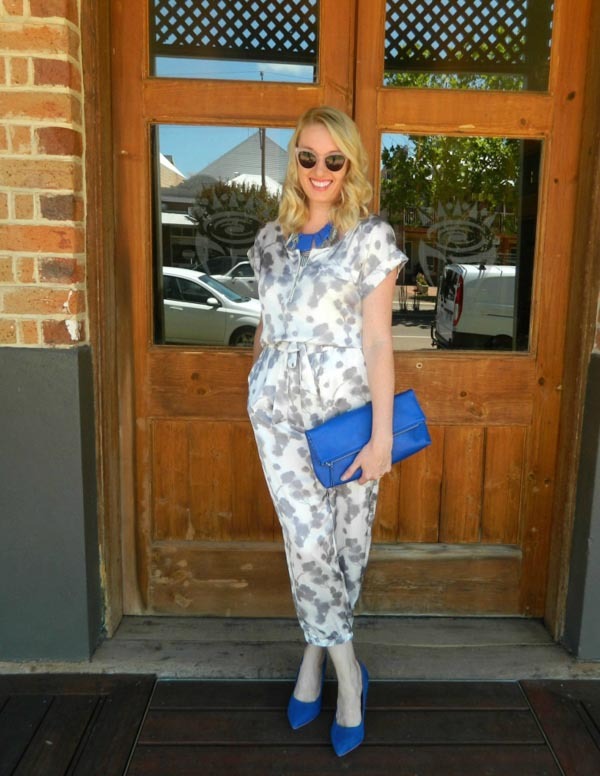 To see more of Malinda’s outfits, visit The Style Within and @TheStlyleWithin for Instagram! Loved it..!…I am her age too and agree on what she wrote about fashion at this age, thanks for the tips…. Previous post: Choosing the best travel shoes and combining with color!